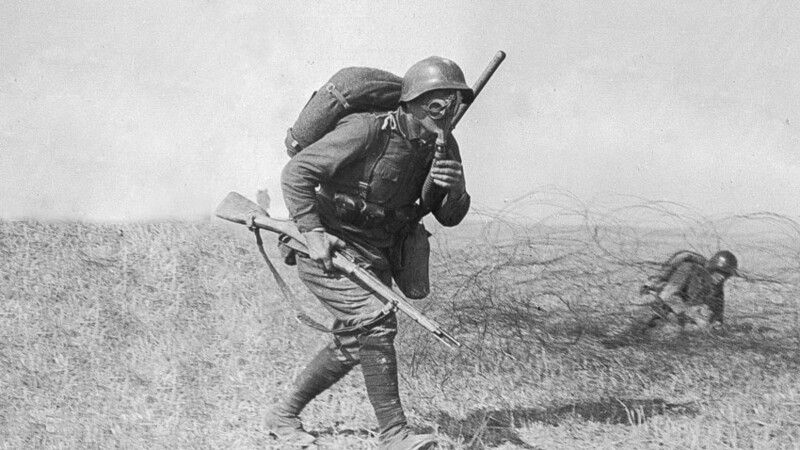 A soldier in a gas mask during WWI. 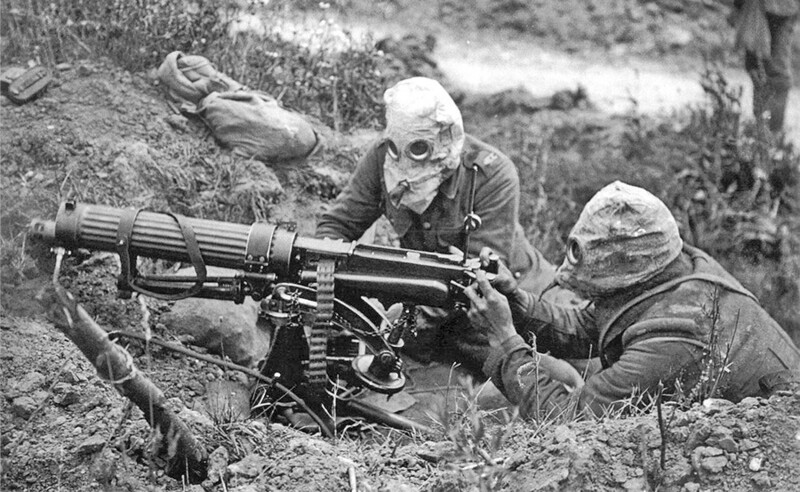 Poison gas was first used during WWI and about half of all the lives claimed by chemical weapons during the war were Russian. After Germany started using chlorine on the battlefield, Moscow retaliated by building its own chemicals industry from scratch. A frantic panic. In a thick yellow cloud of gas, Russian soldiers went blind, coughed, and gasped for air. One thousand soldiers died of suffocation, another 8,000 received severe burns. A large-scale chemical war on the Russian front began on May 31, 1915 in Poland with a massive gas-cylinder discharge of chlorine along a 12-km stretch of the frontline manned by the 14th Siberian and 55th Infantry Divisions. For the first time the Germans sprayed about 170 tons of chlorine on a 6-km section of the front on the Ypres River in late April 1915. As soon as the wind started blowing in the right direction - towards the French army - gas was released from 6,000 cylinders, each of which was opened manually. The French were engulfed in yellow-green clouds of chlorine and retreated in a panic, Professor Mikhail Supotnitsky wrote in his book The Forgotten Chemical War of 1915-1918. You could understand the French. "A person caught in that cloud died within a few minutes. With the use of chlorine, German military chemists for the first time managed to meet the two basic conditions necessary for the success of a chemical attack - mass application of toxic agents and maximum concentration of a gas cloud," Supotnitsky explains. In his opinion, if the Germans had had enough resources to break through the frontline there and then, that attack could have decided the outcome of the war. "But there were no resources, and the small tactical success of the Germans on the Ypres salient served as a signal for the start of a mutually destructive chemical war," he adds. Gas-burned patient in the hospital. Chemical weapons on the Russian front were used in late January 1915 in Poland. However, at the time the air temperature was very cold and the Russian troops did not suffer serious losses. A truly large-scale chemical war against the Russian army began on May 31, 1915, with a massive chlorine attack. The area was virtually devoid of forests, which allowed the gas cloud to move deep inside the ranks of the Russian troops while retaining its deadly impact at a range of at least 10 km. The experience gained at Ypres gave Germany grounds to think that a victory over the Russian army was a foregone conclusion. "However, the endurance of the Russian soldier and the good organization of defense enabled the Russian command to repel 11 German attempts at an offensive undertaken after the gas attack. Russian casualties from the poison gas amounted to 9,036 soldiers and officers, 1,183 of whom died. On the same day, the Germans lost just 116 soldiers," writes Alexander De Lazari, a military scientist and the first Russian historian of chemical weapons, in his book Chemical Weapons at the Fronts of the 1914-1918 World War. This imbalance in losses prompted the Russian tsarist government to join in the chemical war and create its own chemical weapons. In a telegram to the war minister a day after the attack, Russian General Yanushkevich pressed on the minister the need to supply the army with chemical weapons. The task proved difficult because most of the Russian chemical industry belonged to the Germans. Chemical engineering as a branch of the national economy was non-existent in Russia. Long before the war, German industrialists made sure that their enterprises could not be used by the Russians for military purposes. During the war, those enterprises were, of course, shut down altogether. After the devastating gas attack on May 31, chemical attacks on Russian troops continued with increasing strength and ingenuity. The Germans skilfully and with great inventiveness used gas discharges and shelling with chemical projectiles. Russia had to develop the production of chemical weapons independently. It started making chlorine at factories in Samara, Rubezhnoye, Saratov, and in the Vyatka province. In August 1915, the first two tons of liquid chlorine were produced, and in October, Russia began to set up chemical squads to carry out cloud attacks. Supotnitsky is impressed by the work of Russian military chemists. "Having started from scratch, without petrodollars or assistance from the West, in a matter of 12 months they managed to create a military chemical industry that supplied the Russian army with several types of chemical warfare agents, chemical ammunition and personal protective equipment," he says. 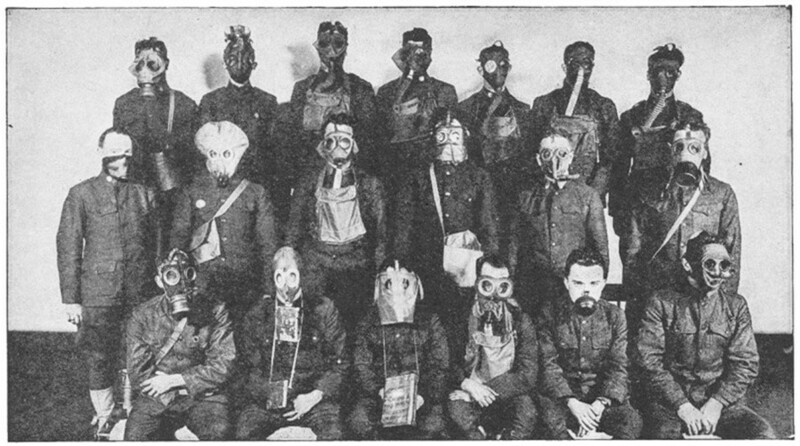 Different types of gas masks. Russians used chemical weapons for the first time during the March 1916 offensive at Lake Naroch. The offensive was undertaken at the request of the Allies in order to divert Germany from an offensive at Verdun. It cost the Russian nation 80,000 people killed, wounded, and mutilated. The Russian command considered chemical agents as an auxiliary weapon in that operation, whose action was yet to be studied in combat, so the military did not use any protective equipment - gas masks or gloves. 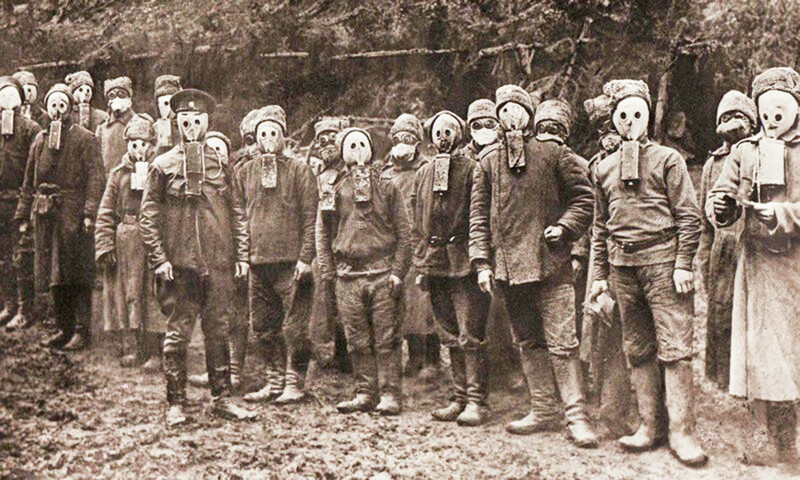 By the end of 1916, Russian troops had fully mastered chemical weapons, and the army was provided with gas masks. A gas wave launched by the Germans on Jan. 7, 1917, against the Russian Northern Front did not result in losses thanks to the timely use of gas masks and improved chemical discipline of the Russian troops. The last Russian gas discharge, carried out outside Riga on Jan. 26, 1917, ended with the same result for the German army: they too were prepared for gas attacks. Parity was established. 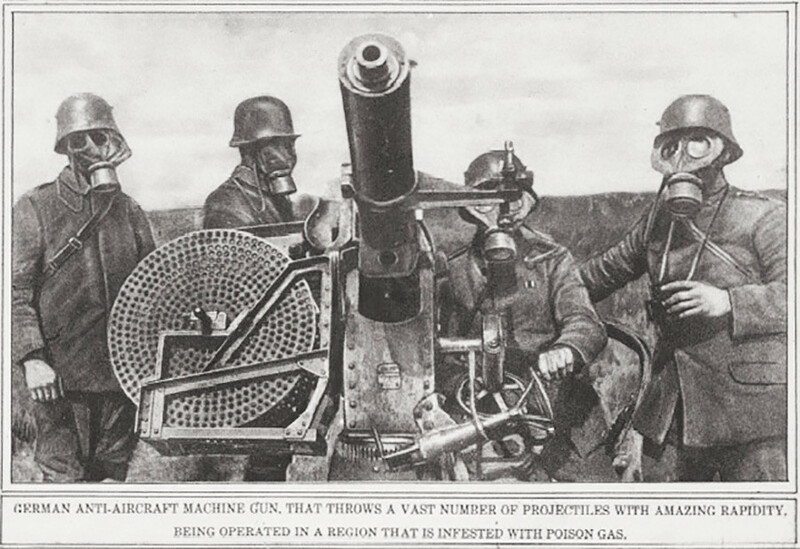 After WWI, the international community comprehended the terrible power of chemical weapons. They were included on the list of weapons of mass destruction, and at the end of the 20th century their use was banned by a ruling of the Hague Court. The Chemical Weapons Convention has been signed by many countries, including Russia. 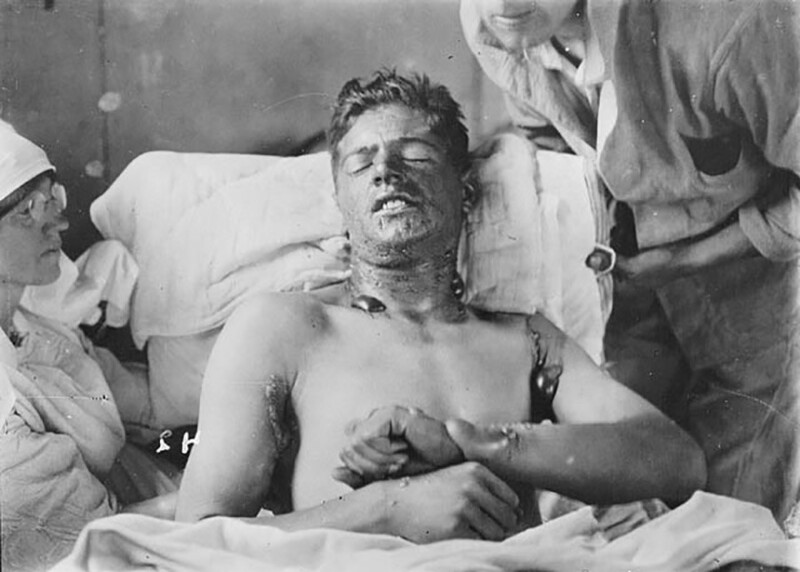 One particular episode of the chemical war within WWI deserves a wider description: almost dead after the severe poison gas attack, Russian soldiers still attacked the German ranks. Read our special on the famous "attack of the dead".